Toyota has finally released pricing information for the US-spec 2017 Toyota Highlander that is expected to arrive in showrooms within the next few weeks. The base Highlander LE will now start at $30,630, up $140 from the 2016 MSRP. For that, customers get a redesigned upper and lower grille, 18-inch wheels, a rearview camera, heated side mirrors, a windshield wiper de-icer, a 6.1-inch touchscreen, and the choice to dress up the SUV in new silver paint. The standard engine is the same 2.7-liter four-cylinder as before, paired with a six-speed automatic, but customers seeking more power under the hood will want to either option for the 3.5-liter V6 or upgrade to a higher trim level. It’s the same tried-and-true V6 found across a variety of Toyota models, except it now uses both port and direct injection to output an extra 25 horsepower and 15 lb-ft of torque for a total of 295 hp and 263 lb-ft. It will be exclusively mated to a new eight-speed automatic and get 19/25/21 mpg city/highway/combined with FWD and 18/24/20 mpg with AWD. The V6 is also the same featured in the hybrid model, which additionally benefits from a small electric motor that boosts overall system output to 306 hp. 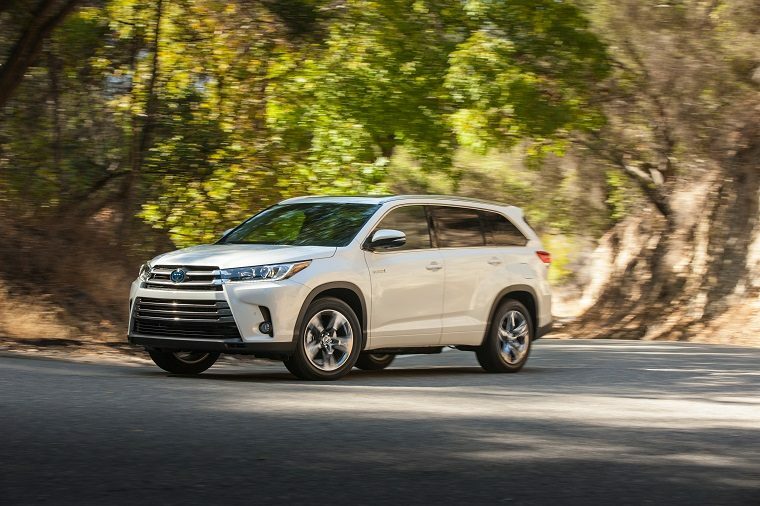 At the top of the line is the Limited Platinum Hybrid AWD V6, which starts at $47,880 and comes with brown leather-trimmed heated seats, Entune Premium Audio, three-zone automatic climate control, 360-degree-view cameras, and various other goodies like extra chrome on the rear bumper. 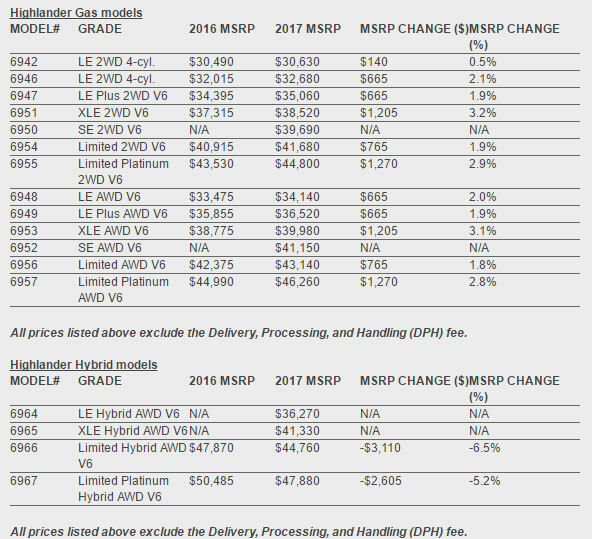 Best of all, the MSRP for both the Limited Hybrid and Limited Platinum Hybrid is significantly lower than it was for the 2016 model!